I just have to warn you now....I made quite a few cards with this Simon Says Stamp and Clearly Besotted collaboration stamp set. I'll be sharing more of them soon. I love how this one turned out. 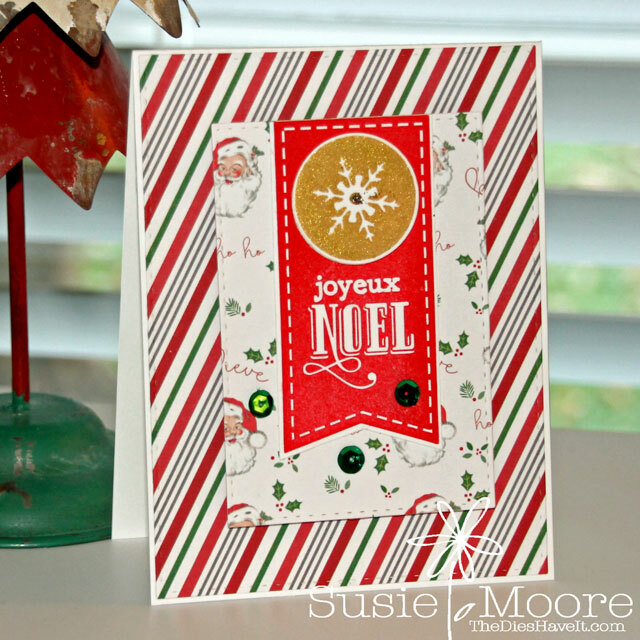 The candy cane stripes and the Santa paper make it look rather vintage to me. And I found that the best ink for these stamps is pigment ink. I used Avery Elle. The coverage was excellent. Enjoy your day and be good....because Santa Clause IS coming to town!